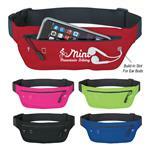 The Hipster Fanny Pack - a great custom fanny pack in bulk. 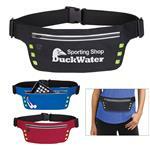 A zippered main compartment and an adjustable waist strap and buckle. 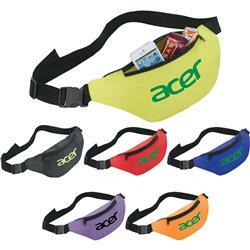 This is a great basic camp and school fanny pack. Production Times Available: 5 working days standard. FREE RUSH AVAILABLE!